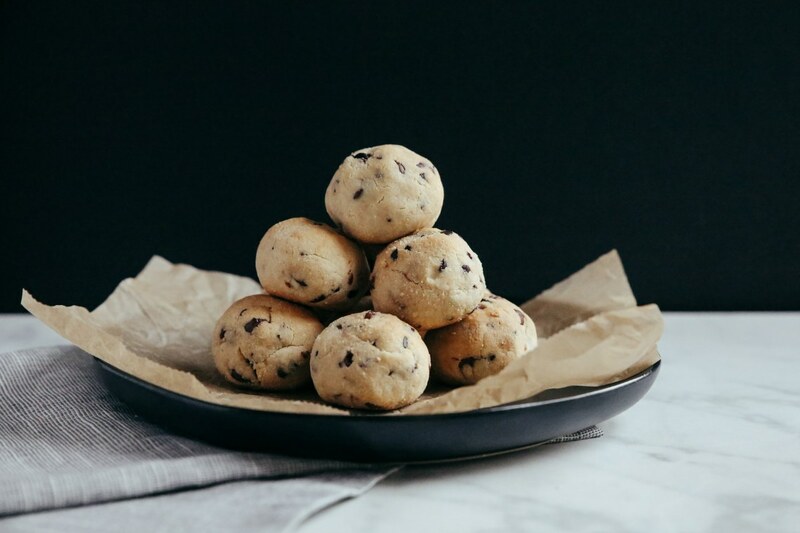 These tender, salty-sweet paleo cookies are the perfect snack to reach for when you're craving an energy boost. Dark chocolate chunks, cocoa nibs, and maple syrup provide outstanding flavor and texture. The almond flour base makes these nuggets as healthy as they are delicious. 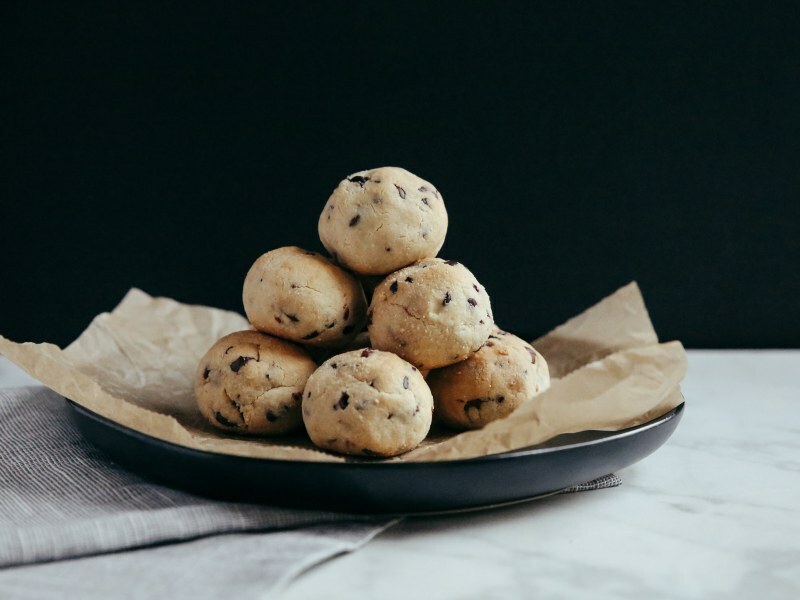 They taste like your favorite chocolate chip cookie dough, but are gluten-free, and low in fat and refined sugar thanks to subbing the traditional butter and white sugar for coconut oil and maple syrup. An ideal treat when you need that afternoon burst of energy to get through the workday! These cookies are highly adaptable to the substitutions and additions of your choice. Honey or agave nectar may be used in place of maple syrup, and chopped nuts or dried fruit can replace chocolate. Try adding 1/3 cup shredded coconut for extra texture and flavor. Per Serving: 159 calories; 12g fat; 11.4g carbohydrates; 3g protein; 0mg cholesterol; 134mg sodium. My friends and I are definitely fans of this gluten-free treat. I was a bit weary of this when it didn't include egg, but the coconut oil and maple syrup kept these nuggets moist and gooey like a chocolate chip cookie. Made these twice already and will continue to make these to satisfy my next sweets craving. 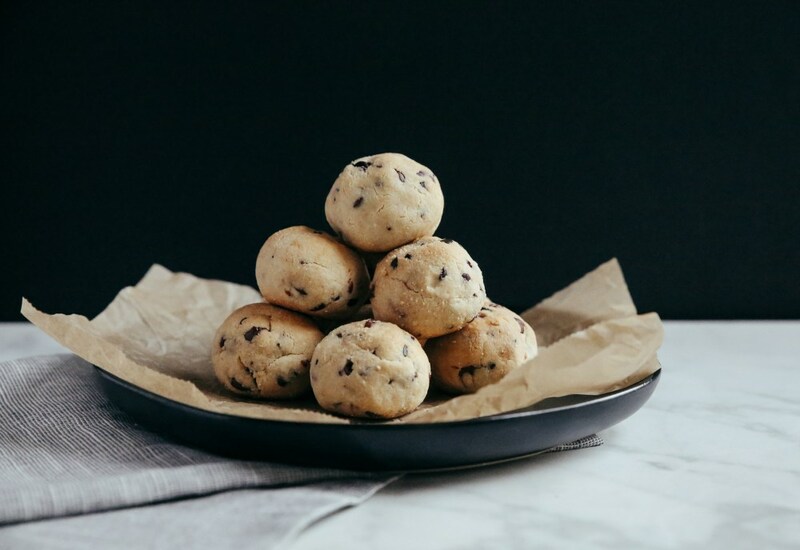 These almond chocolate nuggets remind me of my favorite cookie dough, only healthier. They're so addicting! The coconut oil is a must for this dish, because it gives it added flavor versus if you were using another oil.